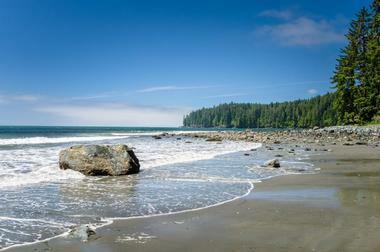 There are many spectacularly beautiful beaches on Vancouver Island. Many of them are part of provincial and national parks, with rustic but incredibly scenic campgrounds and very basic facilities. Most beaches are easily accessible from major highways, but some of them can only be reached by boat or by a few miles of hiking through forests. Often flat and wide, most Vancouver beaches are perfect for long hikes, building sandcastles, swimming in the summer, paddleboarding, kayaking, and canoeing. 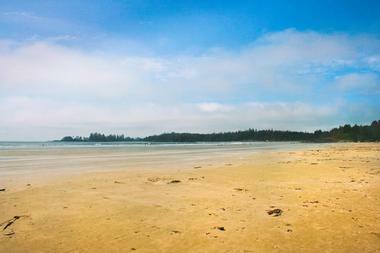 Chesterman Beach is a sandy laidback spot famous as the place to come to learn how to surf. The waves are consistent and there are days when they are just perfect for the pros. The after-surf activities include bonfires, cook-outs, long walks in the shallows, and much more. Rosie Bay, just south of Chesterman South, has rock caves, tidal pools, and a great surf wave when the conditions are right. The beach is large and there is room for everyone, whether you like to surf, kite-surf, wind-surf, or kayak. A great variety of birds lives on the beach all year long, putting on a show for birdwatchers and nature photographers. Cox Bay, also called “Surf Beach,” is one of the most popular surf spots in the area. It is also a very popular tourists location. The 1.5 kilometer-long wide sandy beach can be accessed from a small parking lot and short trail. The west facing direction and shape of the beach make Cox Bay one of the most consistent beach breaks in the Pacific Rim due to its shape and western exposure, which enhance the action of the swell. There are also several large resorts on Cox Bay’s coast. The beach is surrounded by majestic trees and the wide expanse of sand is littered by bleached, wind-blown, and gnarled branches, providing a perfect background for photographers. The beauty of the beach makes it a popular spot for romantic sunset walks, family picnics, and long hikes with the family dog. 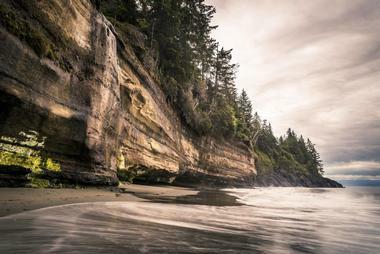 Long Beach is the longest and largest beach in the Pacific Rim National Park Reserve. 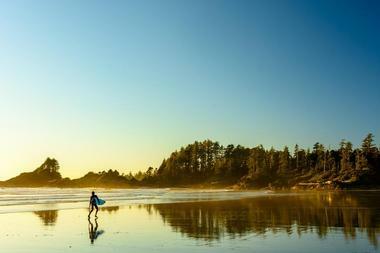 It is located on the west coast of Vancouver Island, on Wickaninnish Bay, between Tofino and Ucluelet. There is a large campground with picnic areas next to the beach, and the Tofino-Ucluelet highway runs parallels to the beach. The beach's exposure to the Pacific Ocean and consistent surf make Long Beach one of the most popular surfing beaches in British Columbia. There are several rocky “islands” off the beach that can be accessed only at low tide. 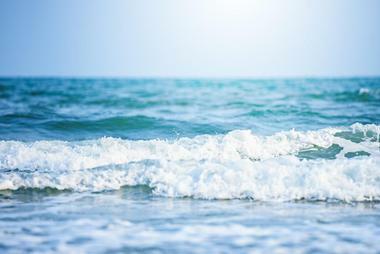 There are dangerous rip currents around the larger islands and farther out in the open sea. Swimming could be extremely dangerous, so the beach access is restricted during heavy storms. The beach is also dangerous during high tide because shore-bound logs can be unexpectedly shifted by waves. Rathtrevor Beach Provincial Park in Parksville, British Columbia, is the 347-hectare park with a 2-kilometer long wide sandy beach surrounded by a stand of magnificent old-growth Douglas firs. There is a large campground in the park for those who need more time to explore this spectacular corner of British Columbia. The beach attracts visitors year round and at low tide visitors can walk into the Strait of Georgia for almost a kilometer. 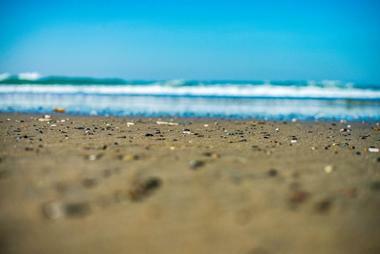 The beach is a prime location for long walks along the surf, making sandcastles in the humid sand, and bird watching. There are almost 5 kilometers of trails leading from the beach into the surrounding park. Birdwatches can enjoy watching gulls, brants, and birds of prey in their natural environment. 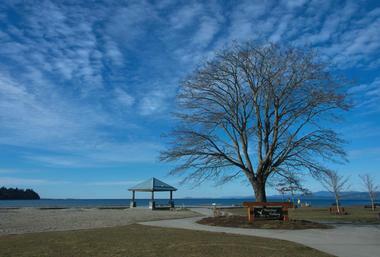 Parksville Beach is located in Parksville Community Park, on the eastern end of Vancouver Island. It is an endless expanse of fine hard-packed sand, flat and wide, perfect for long walks, biking, or making sandcastles. In fact, the beach hosts the Quality Foods Canadian Open Sand Sculpting Competition every year in July and August, attracting almost 100,000 visitors. Parksville Community Park is a kids’ paradise with water cannons and swings, if they ever get tired of playing in the sand and surf. The beach also has volleyball courts, a skateboard park, and even an outdoor gym. There is a pleasant waterfront boardwalk that runs along the beach. Located on the north, sheltered east coast of Vancouver Island, in the Comox Valley, Saratoga Beach is a wide expanse of hard-packed sand that at low tide grows to over a quarter of a mile. The gently sloping beach stretches for more than a mile into the tranquil waters of the Strait of Georgia. Warm, shallow and protected, free of powerboats, the beach is perfect for swimming and playing, an ideal family beach. Miracle Beach Provincial Park and Oyster River Regional Park are on two sides of the beach, providing a range of attractions. The nearby Oyster River Hatchery is great place to see salmon hatching. Located just a few minutes from Comox, Kye Bay is edged by beautiful sandy beaches and shallow small tidal pools that kids love to explore. The best time to visit is when the tide is coming in. The water warms up wonderfully as it passes over the hot sand. You can explore the reef, build sandcastles, look for oysters and clams, or take a long walk along the water edge. Kye Bay is the beach that many locals remember from their own childhoods. 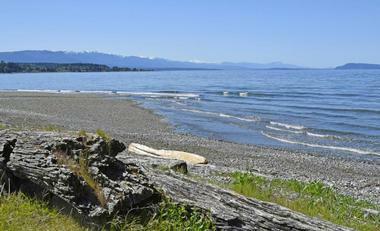 Some of the most popular beaches in Kye Bay are Qualicum Beach, Mystic Beach, and China Beach. 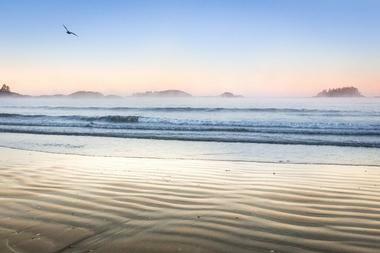 China Beach is a beautiful west coast beach in Kye Bay with a fine white sand perfect for making sandcastles, taking a long stroll, looking for oysters, or exploring tidal pools during the low tide. China Beach is close to Mystic Beach, so there is a chance of seeing gray whales as they pass by in spring and fall. There is also a scenic waterfall at the western end of the beach. A walk to the beach from the road is almost as beautiful as the beach itself, as the trail passes through dense forest of Douglas fir, Sitka spruce and western red cedar. 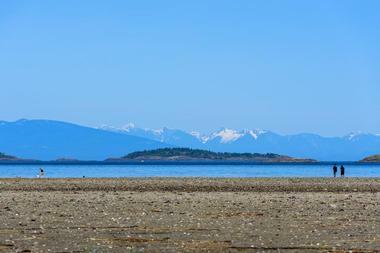 Another beautiful beach in Kye Bay, Qualicm Beach is located about a 7-minute drive from Parksville Beach. 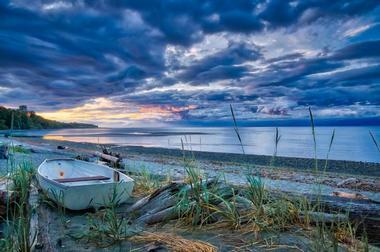 At low tide, Qualicum Beach has a wide sandy area, uncovered and wonderful for exploring. Looking from the water, there is Mount Arrowsmith in the background, Denman and Hornby Islands are to the north, and Texada and Lasquitti Islands are to the east. The Coast Mountains and the mainland loom far beyond. Qualicum Beach is easily accessible from Hwy 19A.The beach is becoming very popular for flatland skimboarding and stand-up paddleboarding, and the area now hosts a few large competitions in the two sports. Birdwatchers also like Qualicum Beach for the diversity of birds that make it their home. Pachena Bay is a peaceful, secluded beach located at one of the entry points to the West Coast Trail, where the Pachena River spills into the ocean. The beach is located next to the Huu-ay-aht First Nations community of Anacla and is surrounded by magnificent virgin old-growth rainforest. The vast expanses of sand are great for long walks, beachcombing, and birdwatching. Its pristine, wild, and spectacularly beautiful location attracts people who like to enjoy the unspoiled beauty of nature far from the crowds. There is a well-equipped but rustic campground with direct access to the beach. 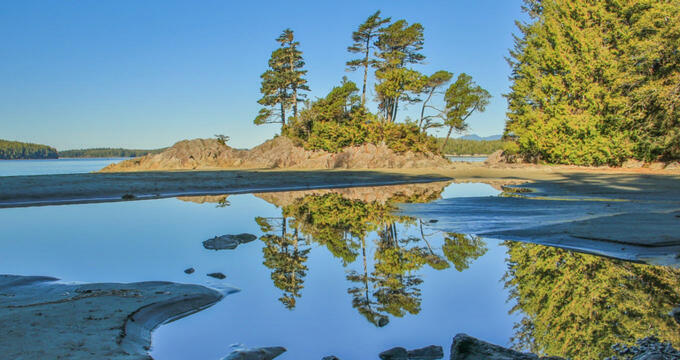 Located about an hour and a half’s drive from Victoria on Vancouver Island’s West Coast, Mystic Beach is part of the famous 47-kilometer-long Juan De Fuca Marine Trail. The whole area is wild and spectacularly beautiful, among the most magnificent ocean sceneries on Vancouver Island. The beach is part of Juan de Fuca Provincial Park. The trail to Mystic beach runs through a magnificent rich coastal forest, over boardwalks, and across a suspension bridge. When it is raining it can be very muddy. Mystic Beach is a favorite spot for watching gray whales as they migrate to the Baja calving area in the spring. In the summer and fall you can spot harbor seals, California sea lions, and Steller’s sea lions hunting for spawning herring and salmon. Sandy Island Marine Provincial Park is located on the tip of Denman Island the British Columbia’s Gulf Islands. 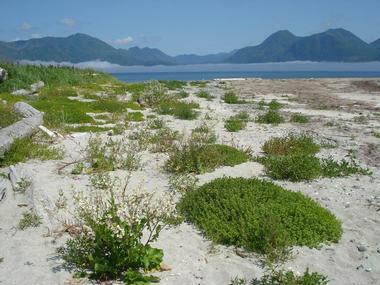 The 33-hectare Sandy Island gets connected to Longbeak Point on Denman Island at spring low tide by an exposed sand bank. The best way to explore the park is from a canoe or kayak. You can easily paddle from Denman Island to Sandy Island, it is only about 6 miles. Keep an eye out for dolphins, seals, or loons as you paddle. You might also spot tall and elegant blue herons on the rocky coastal outcroppings that become exposed at low tide. Sandy Island Marine Provincial Park has rustic campsites located in a lush grove of Douglas fir trees. The facilities are very basic and fires are not permitted. At low tide, you can walk to Sandy Island from Longbeak Point. 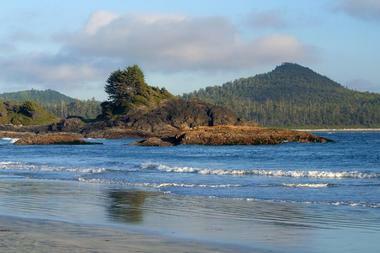 Hesquiat Peninsula Provincial Park is located on the west coast of Vancouver Island north of Tofino. It covers most of the eastern coast of Nootka Sound. The park is very popular for boating, coastal hiking, and sea kayaking. The peninsula is an important wilderness area that protects heritage sites, the stands of old-growth forest of Sitka spruce, white pine, lodgepole pine, and yellow cedar as well as a freshwater lake. The park includes a range of coastal ecosystems such as offshore reefs, boulder, cobble and sand beaches, sheltered bays, sea caves, kelp beds, and mudflats. All of them are connected by a network of trails, allowing visitors to enjoy this incredibly rich natural diversity. Located on the west coast of Vancouver Island on the picturesque Strait of Juan de Fuca, French Beach Provincial Park’s main feature is beautiful 1,600-meter-long sand and pebble beach fronted by a green lawn. The beach is perfect for a family picnic or a dip in the ocean during the summer. The beach is surrounded by magnificent dense forests and there is a network of trails that lead from the beach into the trees. 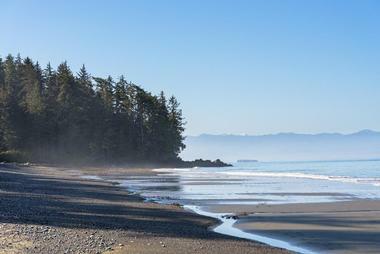 There is fantastic view of the Strait of Juan de Fuca and the Olympic Mountains from the beach. The beach is also a perfect location for whale watching in the spring, when gray whales pass by as they migrate north to the feeding grounds, and in the fall, when they return. Pods of resident killer whales frequently pass offshore. You can also spot otters, sea lions, and seals. French Beach is also great for observing ospreys, bald eagles, ospreys, and many kinds of seabirds.